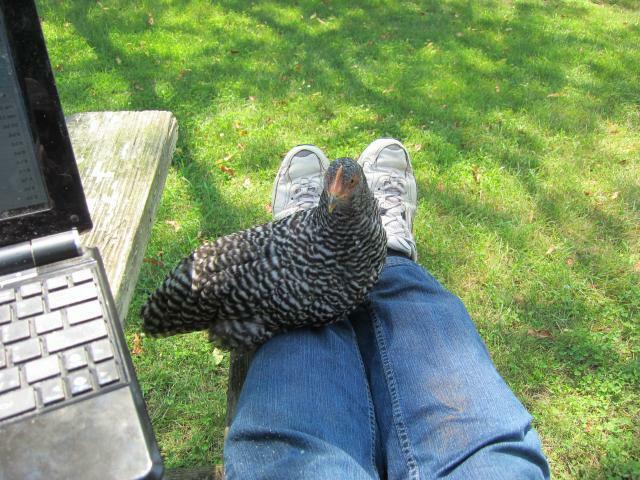 I'm a first-time chicken keeper on five acres in rural-ish Connecticut. I needed a quick coop on the cheap and managed to transform an old doghouse into a chicken coop for about $30, which I've detailed here: The Hodge Podge Coop (BYC page). 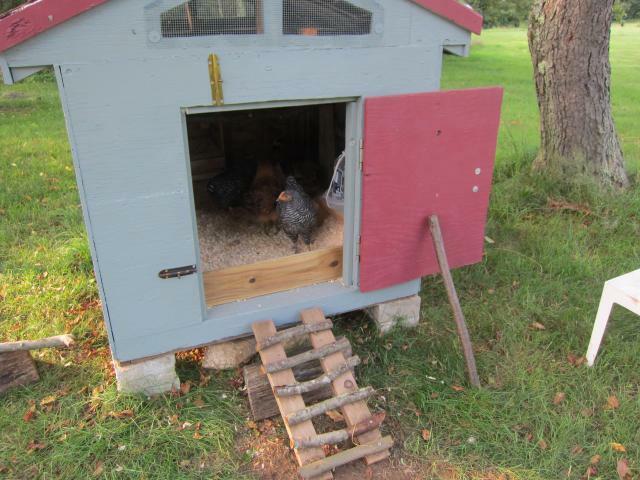 I got four 10-week pullets in early July '11. Due to predators, mostly the neighbor's unleashed dog, it became wise to build a chicken tractor (my blog) and put a small outdoors section on the coop (my blog) for when we are away. I currently have three hens; I lost two to a bobcat who moved into my area and took them during an evening free-range hour.